11 Again Yeshua said, “A man had two sons. 12 The younger of them said to his father, ‘Father, give me the share of the estate that will be mine.’ So the father divided the property between them. 13 As soon as he could convert his share into cash, the younger son left home and went off to a distant country, where he squandered his money in reckless living. 14 But after he had spent it all, a severe famine arose throughout that country, and he began to feel the pinch. 15 “So he went and attached himself to one of the citizens of that country, who sent him into his fields to feed pigs. 16 He longed to fill his stomach with the carob pods the pigs were eating, but no one gave him any. 17 “At last he came to his senses and said, ‘Any number of my father’s hired workers have food to spare; and here I am, starving to death!18 I’m going to get up and go back to my father and say to him, “Father, I have sinned against Heaven and against you; 19 I am no longer worthy to be called your son; treat me like one of your hired workers.” ’ 20 So he got up and started back to his father. “But while he was still a long way off, his father saw him and was moved with pity. He ran and threw his arms around him and kissed him warmly.21 His son said to him, ‘Father, I have sinned against Heaven and against you; I am no longer worthy to be called your son — ’ 22 but his father said to his slaves, ‘Quick, bring out a robe, the best one, and put it on him; and put a ring on his finger and shoes on his feet; 23 and bring the calf that has been fattened up, and kill it. Let’s eat and have a celebration! 24 For this son of mine was dead, but now he’s alive again! He was lost, but now he has been found!’ And they began celebrating. 25 “Now his older son was in the field. As he came close to the house, he heard music and dancing. 26 So he called one of the servants and asked, ‘What’s going on?’ 27 The servant told him, ‘Your brother has come back, and your father has slaughtered the calf that was fattened up, because he has gotten him back safe and sound.’ 28 But the older son became angry and refused to go inside. I have sometimes caused offence by entitling this famous parable, “The mystery of the missing mother,” as here we have an account a crucial family relationships in which the wife and mother plays no part. It would be easy to put this down to the patriarchal culture of Jesus’ society and of his church as it grew away from the radical practice of Jesus himself, and no doubt it was an influence. But as we shall see, the father in the story is by no means shown as free from the kind of faults that a patriarchal culture might foster. Of course stories that feature a father with two sons were endemic to Jewish tradition: Cain and Abel, Esau and Jacob, Ishmael and Isaac, these ancient narratives were interpreted as showig how the preference of God complicated the already complex relationships within the family. In some of these the voice of the wife and mother is heard as well as that of the father and the sons. So if in this case there is no female voice, the listener will assume that this father is used to taking the decisions. The preceding stories of the lost sheep and the lost coin have predisposed the audience to expect some kind of rescue. There is none; no-one comes looking for the lost son. This is a surprise omission which makes the next twist in the stoiry all the more remarkable: it is the memory of the prosperous farm that he has left behind that brings the younger son to his senses, or as the storyteller puts, “to himself.” He is somehow still a son although he is unworthy of the name. Even the most censorious listener will recognise that this is a good decision of the disgraced and degraded rebel. Now he’ll have to return home to face the music! Only the music he actually faces would be seen as a scandalous outrage by the audience. The stupid, permissive old father, whose folly was the origin of al this trouble, has been looking out for his son’s return; forgetting his male dignity he runs to meet and embrace him, reclothes him as an honoured child, and most crazily of all, orders a celebration for his safe return. The audience would surely groan at this further dereliction of parental duty, knowing that it was unjust to his elder son and would cause conflict. Has this man no sense at all? When the elder son in anger tells his father exactly what he thinks, the audience would feel a sense of release. Yes, the old fool has asked for this! The father’s repetition of his phrases abour dead and alive, lost and found. however, may have stirred deeper thoughts in the minds of some listeners at least. The father is not after all saying that the younger son’s folly has no consequences, but that consequence and blame are irrelevant to the heart’s joy at a son and brother restored; the relationship is more important than the business. The story ends leaving the audience guessing at the likely response of the elder son. It is the unspoken implication of the story which is permanently offensive: God is like this father! Paul of all Jesus’ interpreters got it right when he wrote of the “foolishness of God.” For here is Jesus’ interpretation of the whole bible: God in his foolish permissiveness has allowed his human children to make their own choices. Many like the younger son have used the rich inheritance of their place in the world for their selfish pleasure, whereas only a small number, perhaps only twelve tribes, have continued to treat the world as God’s farm and to serve him. The consequences of God’s permissiveness are there to see in the general uncleannness and corruption of the world, but he is so crazy with love for his lost children that when one decides to return home he is welcomed with open arms. Obviously this can arouse resentment in those whose lives have been well- disciplined and have denied themselves to serve God’s interest. Still, that’s God for you! This famous story has been so completely sentimentalised by Christian preaching over the centuries that it’s hard to recapture its original force. Luke places it in the context of Jesus’ defense of his friendship with notorious sinners. He tells stories about how the lost are sought and found with joy. This one has no search but rather a profound joy at the restoration of a child believed dead or irretrievably lost. This, says Luke, is the God whom Jesus represented in his ministry. It has taken me a long time to connect this parable with with the unflattering portrait of the creator God painted by the author of Genesis, of a God so feeble that he is continually playing catch-up with his sinful creature, humanity. This ironic characterisation of God’s love is unique to the Judaeo-Christian tradition and its glory. The Christian neglect of storytelling in favour of doctrines has often prevented its beauty and humour being fully appreciated. Indeed once we have begun to listen to this story, an even more scandalous interpretation may tug at our minds. 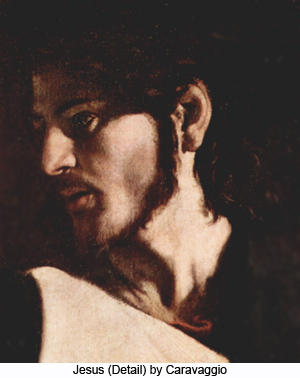 The younger son may be seen as Jesus, who demands his interitance from the father and journeys into far country, the world, where he pours out the wealth of God, in “riotous living” for sinful companions, but is then subject to a terrible fate in which he feeds the pigs ( is crucified by Romans), before “coming to himself” (resurrection) and returning home to God’s welcome (ascension) while arousing the jealousy of the elder son (Pharisees and Priests). I do not think of this as a primary meaning, but I think it is there, as an irreverent ghost, that grins from behind the pillars of the theological temple.